Dreaming of a warm Christmas and New Year in the Caribbean? A private luxury crewed yacht charter is the way to go! 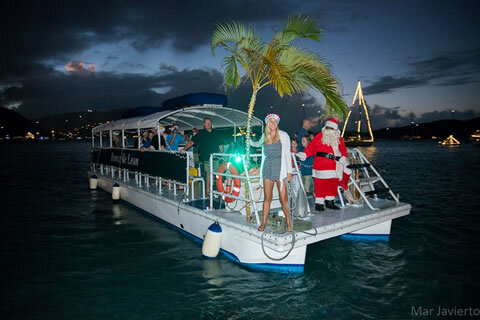 With the aroma of turkey and the sound of sleigh bells barely behind us, it is nevertheless not too early to begin thinking about charter plans for the 2016/2017 Christmas and New Year holiday. This is a popular time for families and the busiest two weeks of the year for yachts throughout the Caribbean. From idyllic Belize to the popular Virgin Islands and cosmopolitan St. Martin/St. Barths, there are still excellent options available for luxury crewed catamarans, sailing yachts and motor yachts to suit all budgets. Calendars are rapidly becoming booked so don’t miss the boat! Contact us soon to discuss your plans. ← Be a “Rebel” in 2016!